Such a great tip and such a cute “leftover” block! Lovely! Both quilts are and will be spectacular! What great planning! I love it. Cleaver, smart, genius… and Thank You. I agree this is so ‘tip sharing worthy’! Hope you don’t mind if I share it on my facebook page at http://facebook.com/sewfreshquilts with a link back to your post! I love it, so resourceful. I also love that Denyse quilt, that whole book is one giant piece of inspiration. I’ve done the same with my leftovers from my swoon blocks, but they are no where near as gorgeous as these! I can’t wait to see this one finished up!! 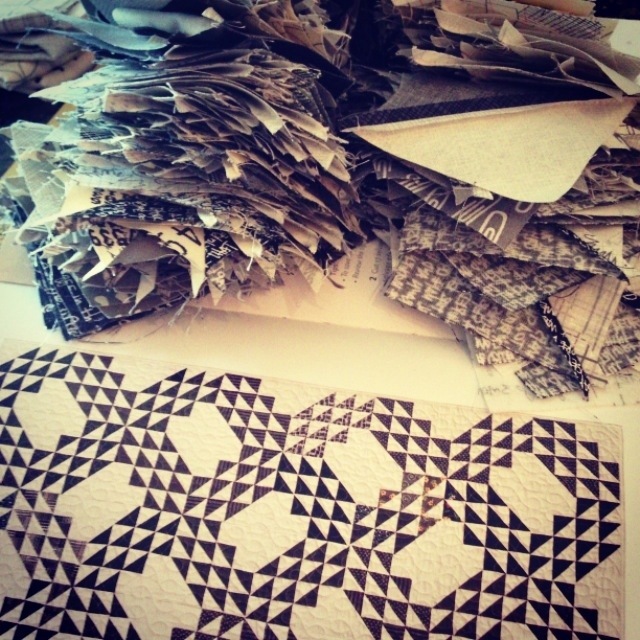 Can’t wait to see this awesome little quilt! Good idea. And an even better idea not to procrastinate about it. Thanks for sharing. How great…two for the price of one…. it looks fantastic! I have a bag of scraps from the Bloom Bloom but as they are a bit weird AND I opted for procrastination nothing has been done with them …yet! Great plan – I love it!! Just purchased an x and + kit at the show and will definitely use this method to get an “extra” quilt out of it!! Thank you for the idea!!! I love your use of leftovers. I saw Mary Fons do this on Love of Quilting. 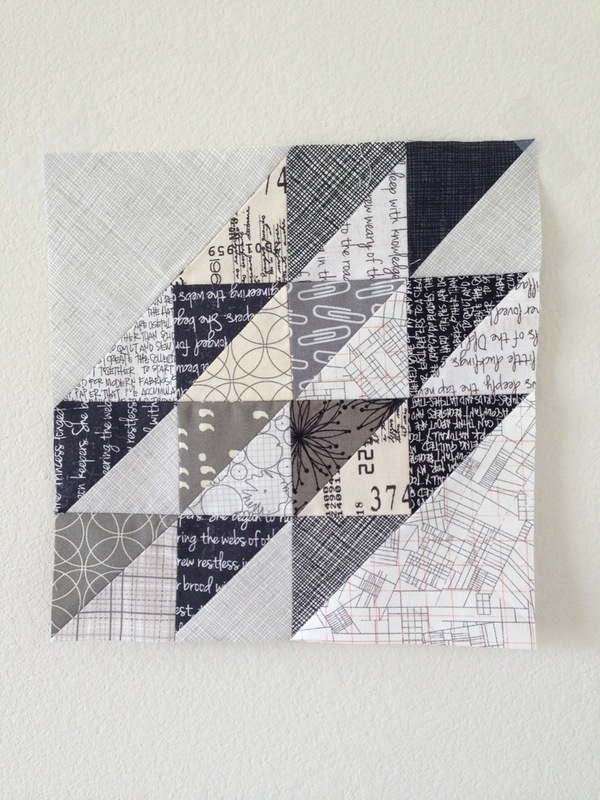 She made a quilt with teeny, tiny HSTs. Great job! 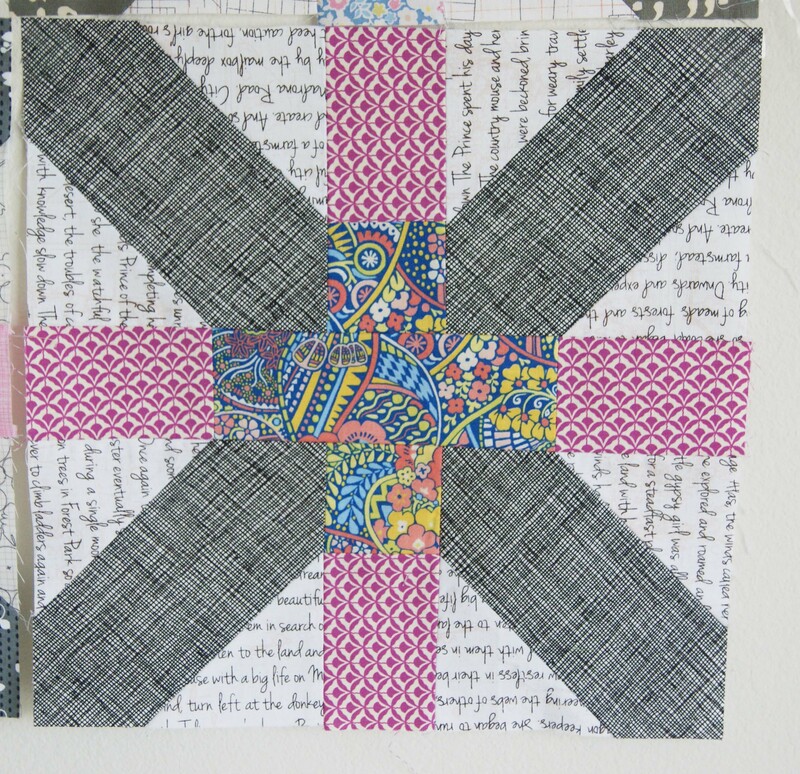 And really excellent x+ quilt. you people are making it hard for me not to make one of these. This is going to be great! I wish I had done that… I still have all my leftovers, though none of them are put together!